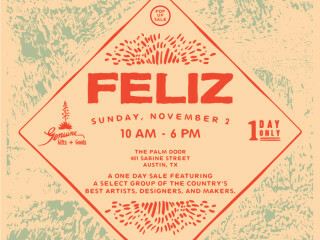 Feliz is a premier one-day pop-up sale featuring work from independent designers across the country with a roster that stretches from coast to coast. Click here to see the full lineup of this year's vendors. To learn more about Feliz, you can check out CultureMap's past coverage of the event.